I do love a balm that stains, and I’ve been meaning to compare the formula of the new(er) Matte and Lacquer balms for a while now. Me being me, I picked out the brightest shades from each, Romantic in the original Balm Stain formula, alongside Striking in Matte Balm, and Enticing in Lacquer Balm. Romantic is a softer strawberryish shade, whilst Striking has hints of orange, turning it a strong coral-colour, and Enticing is a cool blue-red that is a very clear shade. On me, this is a slightly glossy, very sheer colour, which would be very easy to wear as an “everyday” red, there is colour enough to make my lips look finished, but it’s not opaque enough to scare the horses. The dusty peppermint smell is still as bad as I remember from the originals though. 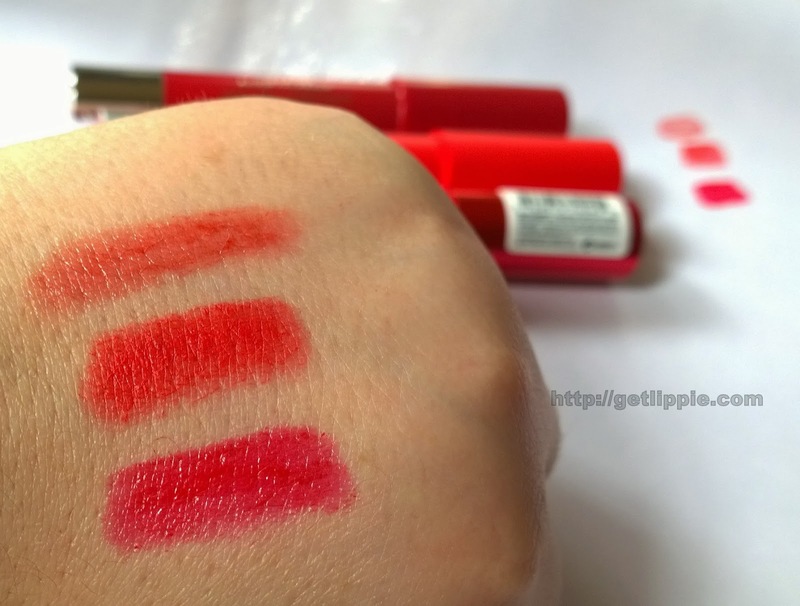 The colour is beautiful, a slightly warmed cross between coral and tomato, the matte formula is great for opaque coverage, but doesn’t feel as drying as a more traditional matte lipstick might. I do find my lips are on the dry side after wearing this for a few hours though, but no more so than with any other Revlon lip product, to be honest. Is it just me that finds every Revlon formula leads to dry lips at the end of the day? Almost precisely mid way between the original formula and the matte balm, the lacquer balm has more pigment than the original, but is more glossy than the matte, as you would expect. 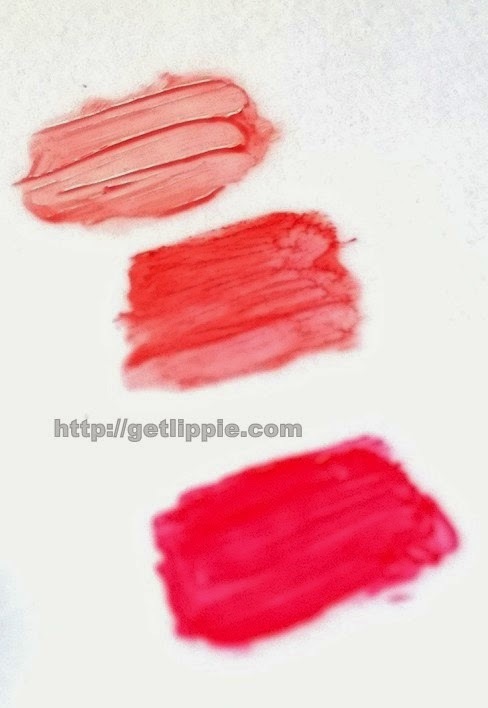 I did find that the increased slip in the formula led to the colour bleeding over the course of wear, which I found super-annoying, but it is a lovely, bright clear red shade that I like a lot, but I won’t wear it without liner ever again, which rather defeats the object of these being a fool-proof and simple to use product! I still don’t like the smell of the products – ironically, it still reads as dusty peppermint even after my nose issues – but the matte balms in particular are likely to become a handbag staple. Best of all, they’re almost always on 3-4-2 in Boots, and at 7.99 each, they’re a bit of a bargain. I think my favourite of these three is Striking, which one’s yours? I love the way enticing looks on you. Being a make-up beginner, I suspect Romantic might work better for me. I like enticing too. But the bleeding drove me crazy. Hopefully a pencil would make it better. I've been using the matte one for a week now, exact same shade and I love it! Not sure if the more glossy version would work for me. I'm scared of sticky lips. I just bought Romantic today, on the strength of your review – still on a quest to find the perfect not too red red, that is warm and a bit sheer. I have a Revlon gloss in a similar shade, but this feels great for when you don't want to be sticky.